Wagons are meant to be fallen off, right? Good. While I haven’t started any of my big 3 for 2012, I have joined in a small KAL on Ravelry in the Tiny Owl Knits group. 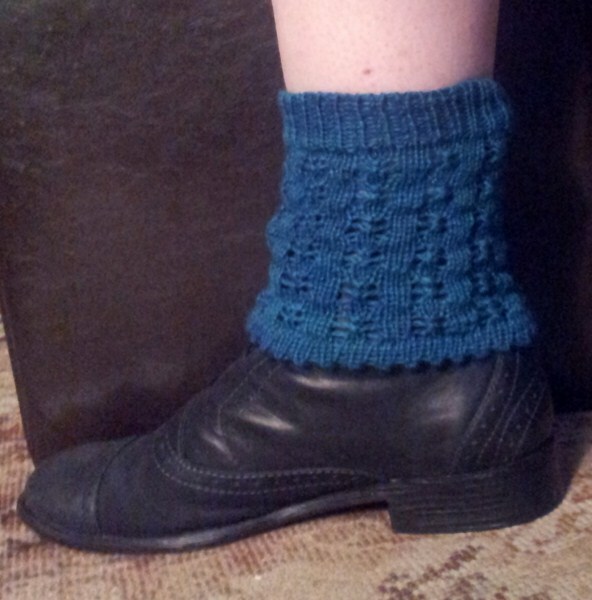 The free pattern “Some Cloudy Day” is a pair of legwarmers, knit in smaller gauge and meant to be a little more fitted. I really enjoyed making these, they were really good to do while I was dropping my son off to, and picking up from school. 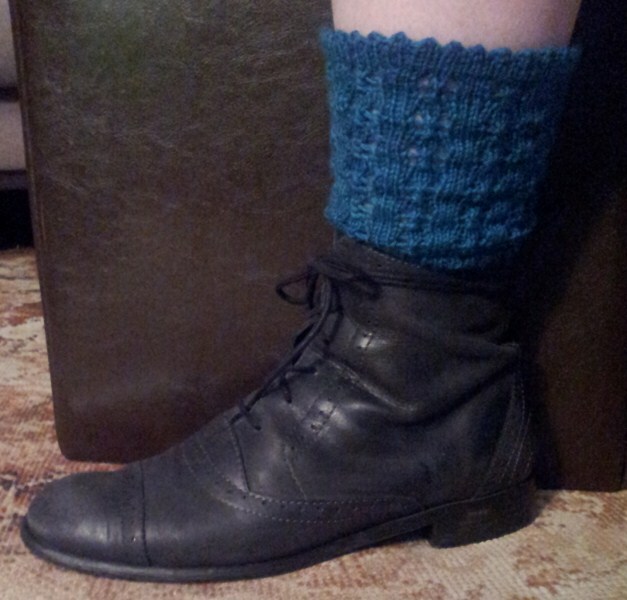 I modified these a little, I made them shorter, used a 1×1 rib and ended with a hemmed picot bind off. I just wanted something to stick into the tops of my boots or over my ankles if I was wearing other shoes. As I’m not really a “sock knitter” I thought this was a great way to use some fun yarn and patterns without worrying too much about fit. So whilst on a roll, I decided to quickly cast on another pair. Using another sock yarn, I cast on with a few extra stitches and continued with the 2×2 ribbing. 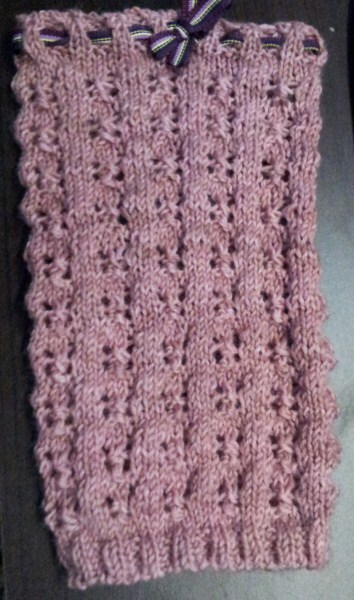 At the top, I decided to add some eyelets to my ribbing so that I can put a ribbon through the top. Cute, right? Will I make more? Probably, but I’ll try different stitch patterns though. At least once in a Knitter’s life, the desire to continue with or start a new project just disappears. 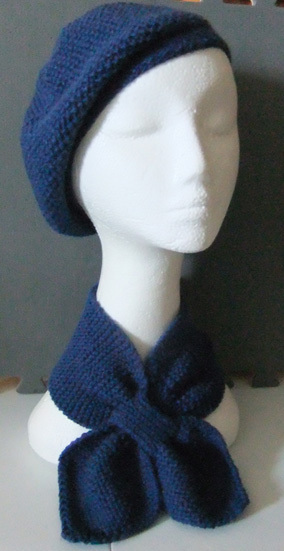 There is NOTHING on or around my needles at the moment that I am inspired to pick up and knit. But I really dislike having nothing to do with my hands, so I turned to some crochet. 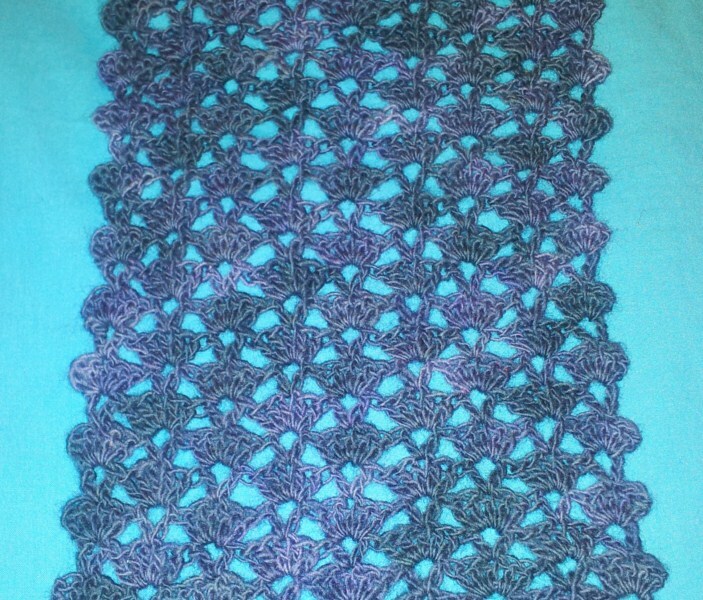 I have two skeins of Malabrigo lace that I’ve been searching for a good pattern… no .. the perfect pattern for. The Malabrigo is so smooshy soft and the colourway (Paris Nights) is just gorgeous, it needed something to really compliment it. I’d tried starting a couple of knitted shawls with it, but it just wasn’t right. So I, rather out of character, started looking at some crochet patterns. I only crochet occasionally, so I don’t often go looking for patterns. I found it amazing how many patterns I just really did NOT like, or that would just suit the yarn. I wanted something simple, but effective. something that was lacy and would work up fairly quickly. Thankfully I found exactly what I was looking for! The Thistle Stitch Scarf ticked all the boxes. Easy stitch construction, customiseable width, and nice and airy. I wasted no time in starting up. I managed to get half the length I wanted in just a few days. I’m now over 2/3 through, picking it up in those moments when a little crochet is what I need. The plan is to finish and block the scarf, then pick up through the middle, and stitch up a generous hood. It will be light enough to wear in all but the hottest months of the year, but still cosy enough that it will be appropriate during the harshest part of Sydney’s winter.